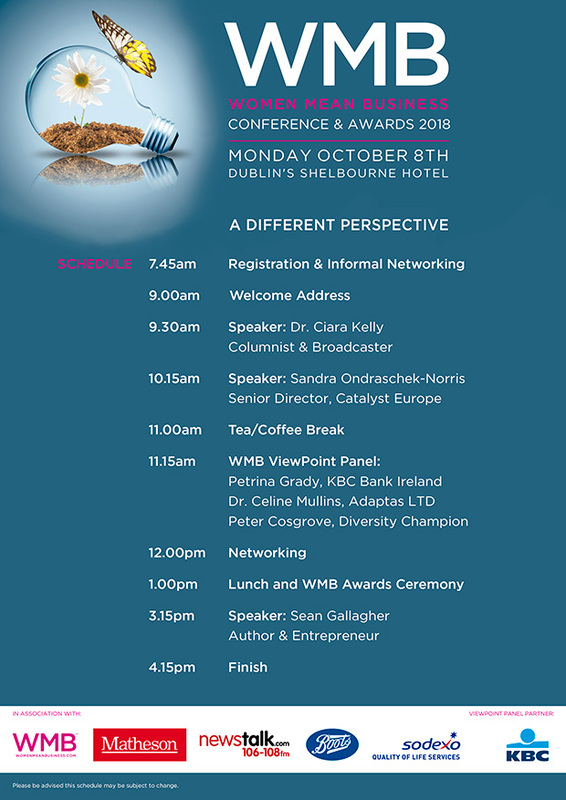 We’re happy to announce our schedule for the 12th Annual WMB Conference & Awards. As you can see from the lineup, you can expect to hear interesting insights into the world of business from successful entrepreneurs and business people who all show ‘A Different Perspective’. In addition, those attending and shortlisted for one of our Awards are guaranteed a day of engagement with plenty of networking possibilities.